In this year’s Festival of German Films, the special focus section, organised by the Goethe-Institut, is dedicated to documentary filmmaker Andres Veiel, who is best known in the UK for his award-winning film Black Box Germany, a disturbing juxtaposition of the biographies of a member of the Red Army Faction (RAF) and one of their presumed victims. Andres Veiel will be in London on November 30 to attend the screening of Black Box Germany and will be taking questions from the audience afterwards. Pamela Jahn had the chance to speak with the director beforehand and asked him about this divisive work, as well as his new feature film project, in which he returns to the subject of the Baader-Meinhof gang. 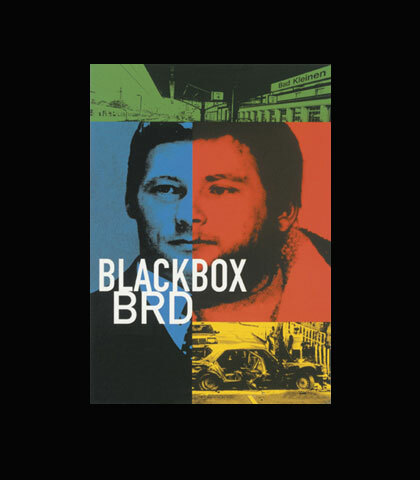 Pamela Jahn: You made Black Box Germany at the end of the 90s, over 20 years after the German Autumn. What attracted you to this subject matter at that time? Andres Veiel: First of all, it is connected to my personal history. I was born in Stuttgart, the place where the trials against Andreas Baader, Gudrun Ensslin and Ulrike Meinhof, the leading members of the Red Army Faction (RAF), took place in the mid-70s. I was still a teenager at that time, but my friends and I went to Stammheim to see the trials, and it impressed me a lot. In the beginning I even felt some sort of naÃ­Â¯ve admiration for Baader-Meinhof and what they did, because, at least, they did something. At that point, I was somewhat at the fringe. On the one hand, I was still growing up in a very conservative suburb of Stuttgart, but on the other hand, suddenly there was this drift, a drift towards a radical political movement, and attending the Baader-Meinhof trials meant for us to defect to the other side, even to partly identify with the terrorists. Of course, I realised very quickly that the RAF was not a possibility at all for me and for most of my friends. But it had a big influence on me in this coming-of-age period between 15 and 17, and over the years, I always felt there was a lack of discussion of the issue, especially after the German reunification. I still had a lot of questions then: Why would anyone become a terrorist? What makes somebody go underground? This was something I felt had not been dealt with sufficiently. So I started researching what would eventually become Black Box Germany. PJ: What interested you in particular in the story of Wolfgang Grams? AV: My interest was triggered by something I realised when I was working on The Survivors, the film I made before Black Box Germany, which was about three school fellows of mine who had committed suicide. One of them, Thilo, went to Stammheim with me in 1975 to see the trials, but unlike mine, his sympathies towards the Baader-Meinhof gang remained quite strong for a while. So the question came up again: what kind of impact, what kind of influence makes people go underground? Especially in the 80s. If you look at the story of Wolfgang Grams in comparison to the first generation of the RAF, what is striking is that he makes that decision 15 years later. He went underground in 1985, when there was no longer any support for the RAF from left-wing young people in Germany. The third generation of the RAF was still active, but they were very isolated. And when Birgit Hogefeld, Grams’s girlfriend, was tried in the mid-90s, I became very curious as to what it was that made them go underground. But to explore that, I had to look deeper into their lives. PJ: Why did you decide to look not only at Grams’s development as an RAF member, but also at the life of Alfred Herrhausen, one of the victims of the gang? AV: I thought it was impossible for me to talk about the RAF without allowing space for their victims too. The films that had been made on this subject until then either dealt with the victims or the perpetrators, but never with both sides at once. But for me this was a necessity, since I wanted to understand what kind of fight the RAF was leading and who they were fighting. So I decided to focus on Alfred Herrhausen, the chairman of Deutsche Bank, who in a way served as a symbol of the ‘other side’ for the RAF, which is why he was murdered. PJ:To a certain extent the film seems to provide parallels between the two characters rather than simply confronting two opposite perspectives. Was such a relationship intended? AV:No, not at all. In the beginning, there was a protagonist and an antagonist for me, but step by step, during my research work, I felt there was some sort of affinity, that they had something in common, which you could call the German idealism, a need to change the world, to create a new image of another world and to fight for these ideas. And although they were active on completely different levels – of course you cannot compare the RAF with the Deutsche Bank – it is fascinating to see what remains of this idealism at these opposite ends, and to find some similarities in the way they acted within these different structures. For example, both of them were very isolated in their groups, because they didn’t fight for people who could support them. Herrhausen was isolated at the board of Deutsche Bank after he had made his proposal of debt relief for Third World countries. Grams couldn’t convince many of his friends to go underground. Grams and Herrhausen just went their own ways. And because of this, both of them died a very lonely death. A lot of people had turned their back on Herrhausen because he surged ahead too fast and because he didn’t want to affiliate himself with anything. Even his wife didn’t understand him, in a way. On the other hand, if you think about what happened in Bad Kleinen [when the police tried to arrest Grams and his girlfriend], Birgit Hogefeld got arrested but Grams ran away and got shot, or shot himself, that’s still not clear. But, again, he made a different decision. For him, it was impossible to get arrested and to stay in prison for the rest of his life; he preferred to die. AV:Yes, that’s right, and it took me quite a long time to gain her trust. I think I met her 15 to 20 times before we started shooting. We talked for hours, but she still had a huge amount of distrust of me and of the project. For example, very early on I told her that I went to see Birgit Hogefeld in prison. At first she was silent and shocked and then she asked me: ‘What did you see?’ And of course what she wanted to know was, ‘did you look the killer of my husband in the eyes?’ But this was something I could not answer, because I didn’t know, and I still don’t know the facts of what really happened on November 30, 1989. So it was very delicate to approach both sides. All in all, it took me five years to make the film and it was a very slow and long process to build up her trust in me, but at the same time I knew it would not have been possible to make the film without her. PJ:Where you ever tempted to try solving the mysteries that remain around the Herrhausen assassination and the deaths of Baader, Meinhof and Ensslin in Stammheim prison? AV:My main interest was not to show who was involved in what. To what extent Grams was in charge of the Herrhausen killing or involved in the planning process was never the question for me. He was a member of the gang, so he took at least some responsibility for the death of Herrhausen. As for the deaths of Baader, Meinhof and Ensslin, when it happened in 1977, I was in shock. I remember the situation very well. We were listening to the radio and when the news came on about their suicides, there was like a rift in the classroom. At that point, I was sure they had been killed, I couldn’t believe the suicide version. But later on, mainly through my own research work, I learned that it was a mistake, that they did commit suicide. Sometimes you are seduced by the idea of something, and in this particular case it took me years to realise it, but eventually I had to admit that I was wrong. PJ:Bearing in mind your personal background and your own extensive research on the RAF, how do you see Uli Edel’s film on the same subject, The Baader-Meinhof Complex? AV:First, I should tell you that I am currently working on a screenplay for my first feature film and it’ll be dealing with the same protagonists again but in the 60s. I am making this film because I still have a lot of questions. The Baader-Meinhof Complex tries to illustrate the facts, to illustrate the book by Stefan Aust, but the problem is that the director has no attitude towards his protagonists or his story. He merely reconstructs the facts without deeper questions. I can see The Baader-Meinhof Complex as an isolated phenomenon, but at the same time it shows the necessity to make another film about the RAF. So I’ll make one. PJ:	Why have you decided to make it as a feature film, rather than as a documentary? AV:I spoke with so many people who said they didn’t want to talk in front of the camera. It’s still a taboo issue, and I thought it would be too difficult to convince the people I want to have in the film to participate in a documentary. So, I’ll write a screenplay and make it as a fiction film, but it will be based on long and thorough research, just like any of my documentaries, and I will stay close to the convincing and irritating facts that I gained from that research. PJ:You mentioned The Survivors earlier, which is your most personal film so far. When you make a film, are you sometimes scared of finding out the truth about things you don’t want to know? AV:Making The Survivors was a great challenge for me, even more challenging than Black Box Germany in the way that I had to deal with some disturbing facts about my friends, who were dead and therefore could no longer justify themselves. But in a way, every film is like a journey for me. The more I find out, the less I seem to know. So to some extent you can call all my films a black box. The deeper I delve into a subject or a biography, the bigger the black box becomes. Black Box Germany screens on 30 November 2008 at the Curzon Soho (London). The Survivors screens on 26 November at the Goethe-Institut (London). Andres Veiel will attend screenings of The Kick and Addicted to Acting on 29 November and Black Box Germany on 30 November. For more details, visit the Festival of German Films website.